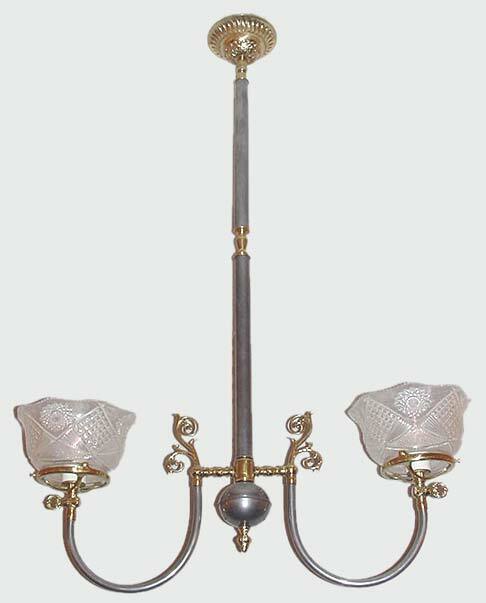 This old country gas light reproduction will sit well in a kitchen, dinette and many other spaces. Add more arms if you like. A fully custom model in mixed metals, Pewter with Polished Brass accents, but make your choice of finish... as with all of our products. Custom height is also fine with us!